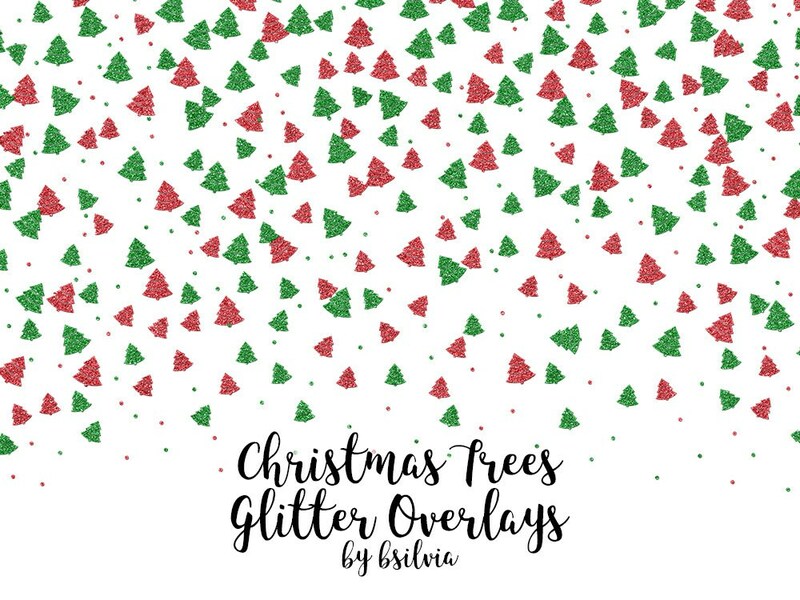 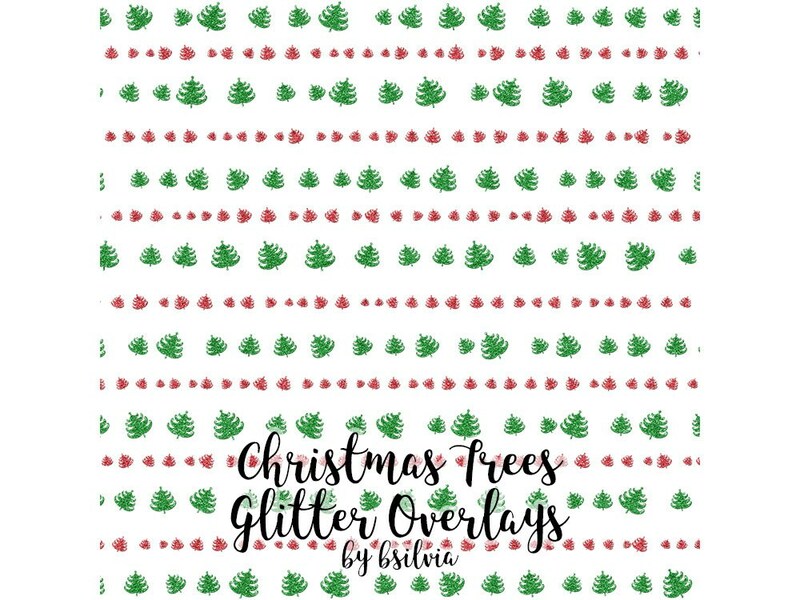 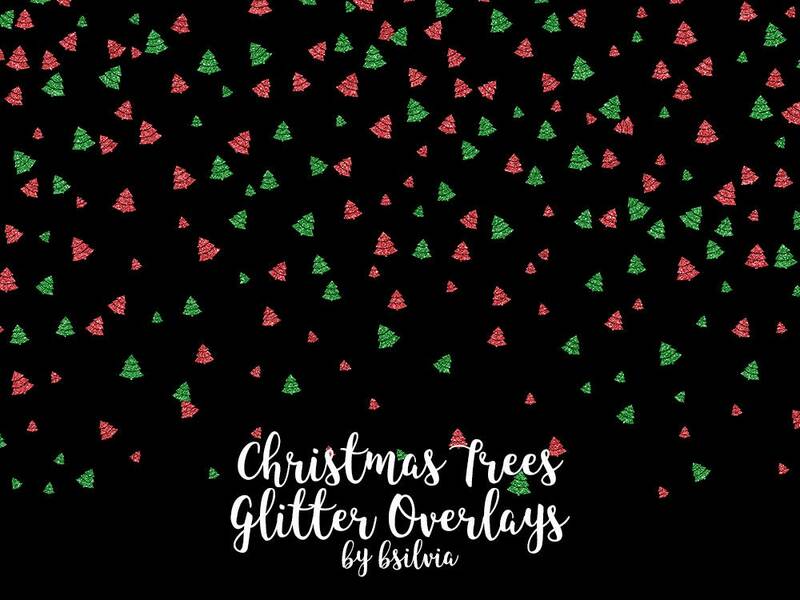 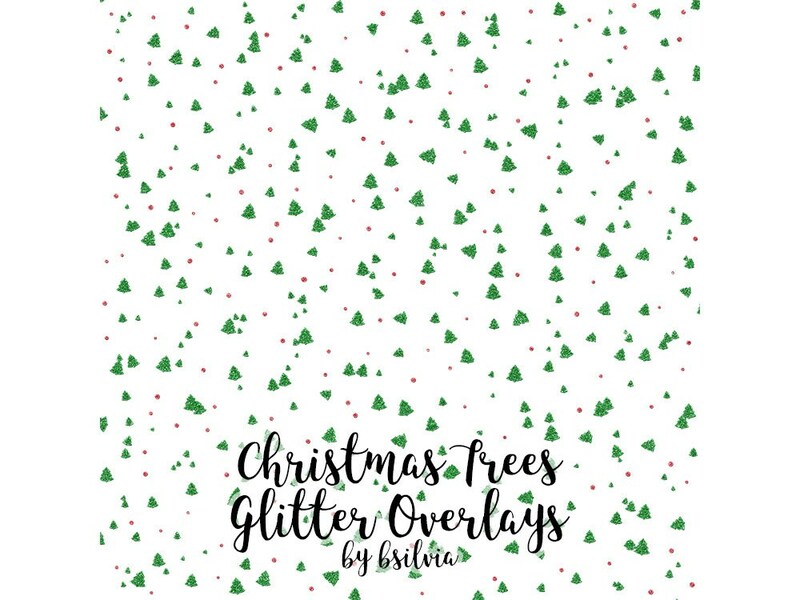 Christmas Trees Glitter Confetti Overlays are great for digital scrapbooking, embellish Christmas or New Year invitations, spice up Christmas albums and more. 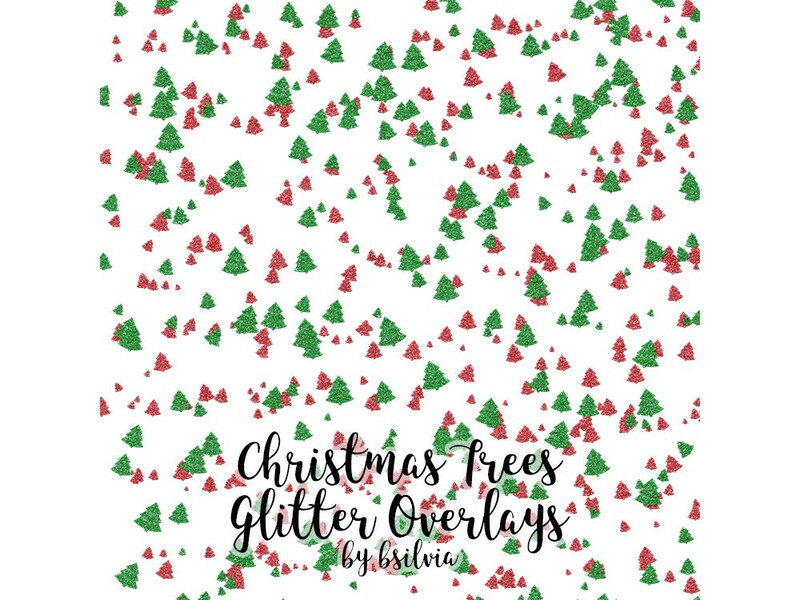 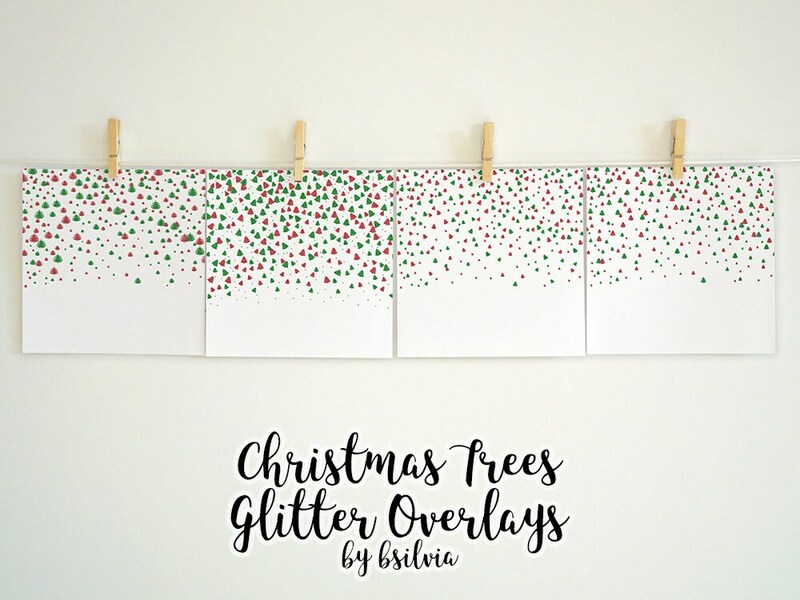 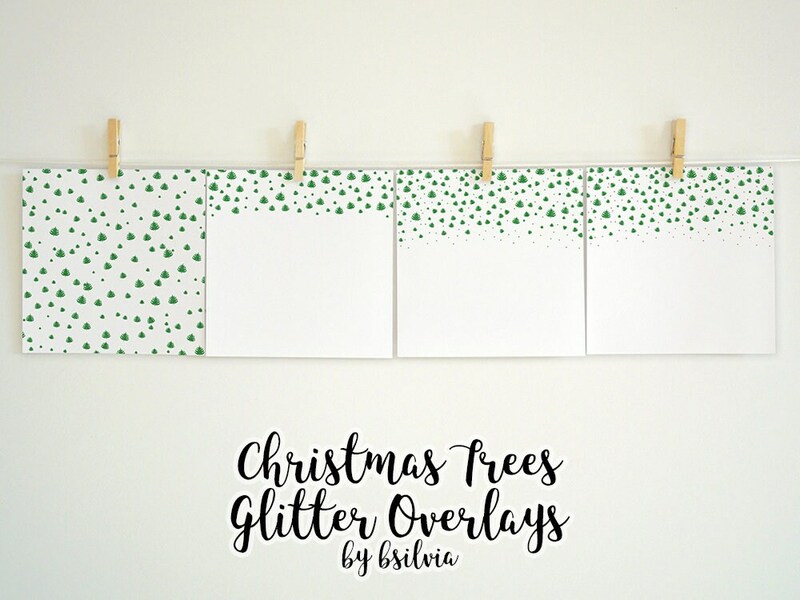 Christmas Trees Glitter Overlays will work in any photo image editing software that work with layers (like Photoshop, Photoshop Elements and other). 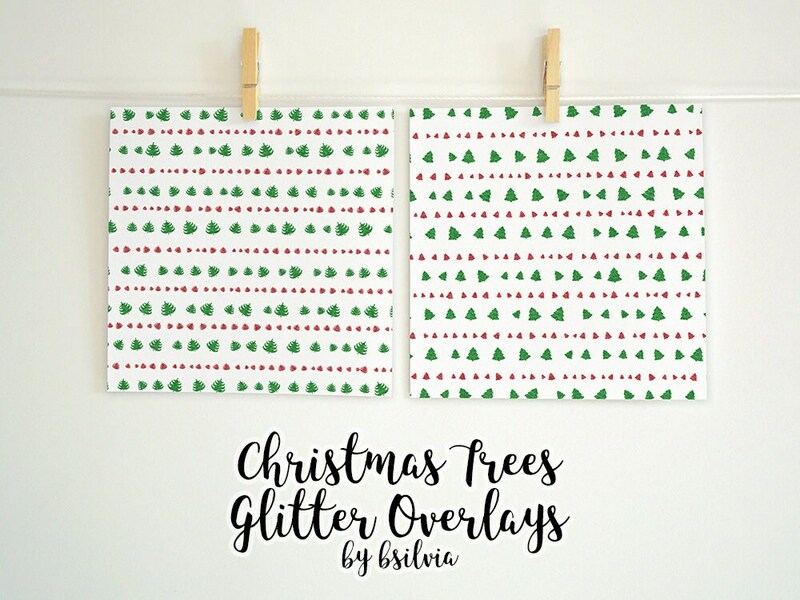 Easy to use, lovely embellishments available in 14 different variations. 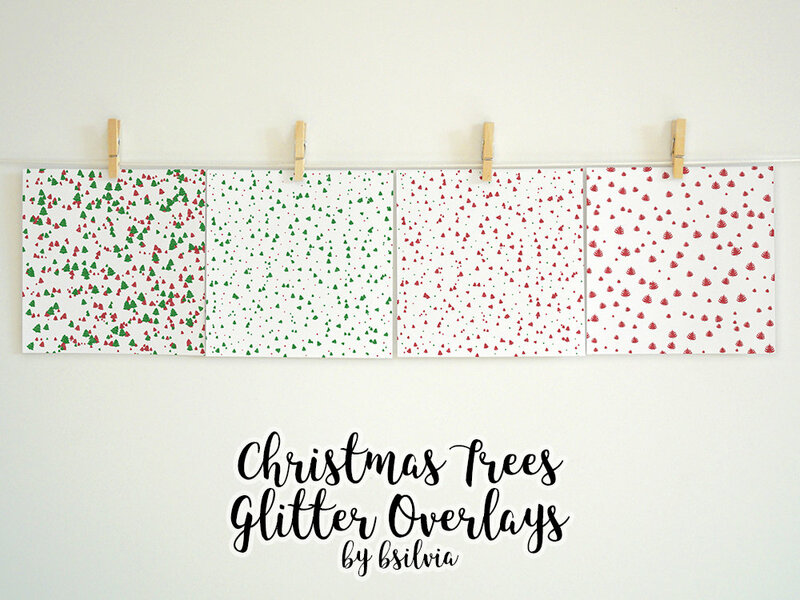 Green and red glitter Christmas trees.